- Compatible Devices : Android 4.4 or later, iOS 8.0 or later. Raise wrist to wake screen, Find phone, Data sharing. 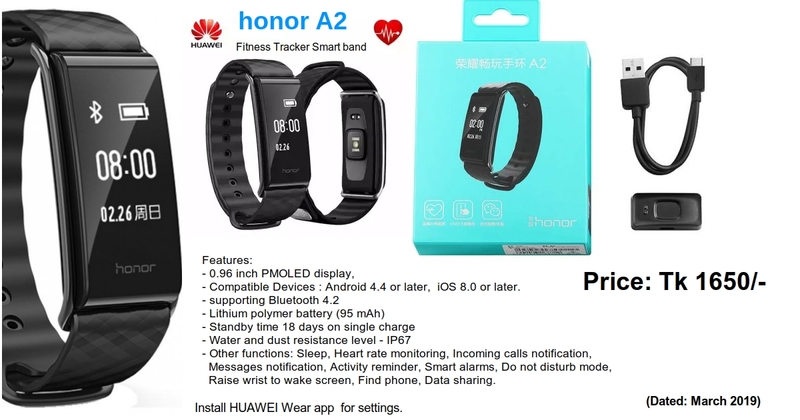 Install HUAWEI Wear app in your Android phone for settings.